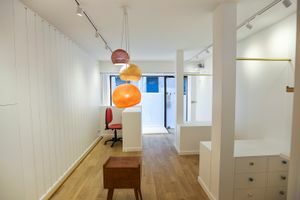 The cozy 40 sq m shop space is located in the bustling area of Bonne-Nouvelle and is ideal for pop-up stores, accessories showrooms and ready-to-wear retail. 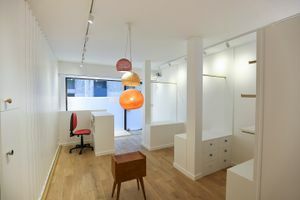 This boutique has muted interiors with white walls, wooden floors, and modern white cabinets. There is extensive storage and display furniture which are suited to accessories and smaller products. 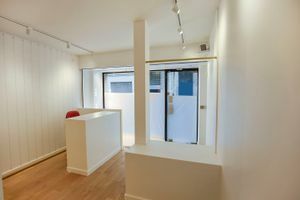 With an entirely glass frontage the store offers great visibility and is also filled with natural light. 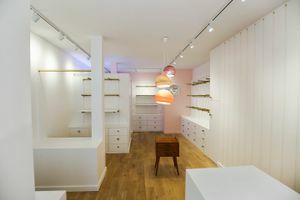 The shop boasts extensive facilities making it extremely well-equipped to host retail pop-ups. 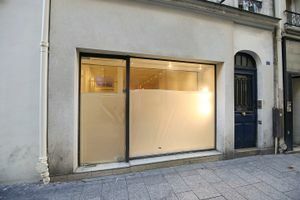 Situated close to Strasbourg Saint-Denis Métro and surrounded by popular retailers, this shop is perfect for brands to gain exposure in an area with a high level of foot traffic.